For many stay at home moms, planning your day in advance is very important. It is for this reason that many of moms prefer to look for work at home opportunities that allow some flexibility in terms of schedules. 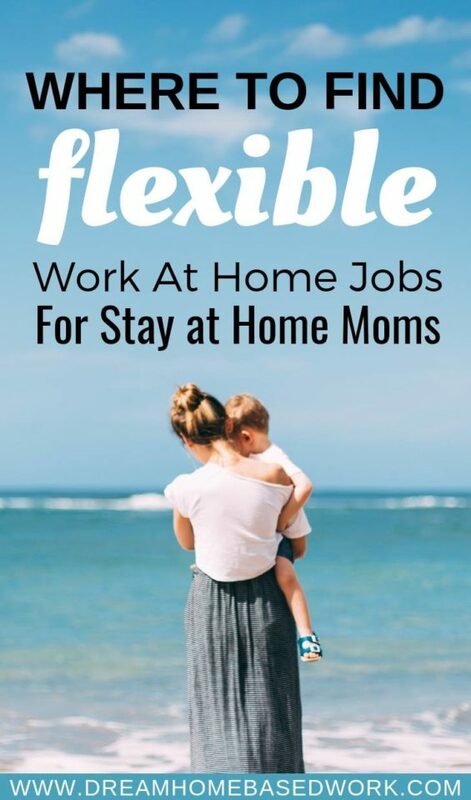 Below is a list of flexible jobs that moms can do at home and earn money. Passing on knowledge to young people through a tutoring program can be very satisfying for moms. If you are a mom that has some background in teaching and would want to earn money using your skills, this is the ideal job for you. You can come up with your own schedule and even limit the students you tutor so that they are much easier to manage. The tutoring classes can be done virtually or at your house, but it depends on what will work best for you. However, online tutoring is much more convenient and allows you to keep a flexible schedule at all times. Where To Find Online Tutoring Jobs? Every company that is in business today is always looking for ways to increase their sales thus the increase in jobs for sales agents. Many companies are offering work at home sales jobs whereby they contract qualified workers to handle calls from customers that are asking about their products or seeking support. This is a good job for a mom that can plan their day well, as most companies that offer such jobs allow you to come up with a schedule that fits your lifestyle. If you can adhere to the schedule, you can earn good money working for your preferred company. Where To Find Companies That Hire Online Sales Agents? If writing is something that is easy for you, then you should consider becoming a ghostwriter. A ghostwriter takes up writing tasks such as article writing and book writing among others that usually pay very well. You can decide to write a certain number of articles per day so that you are done by the time your kids get back from school. Alternatively, you can choose to write during the night when they are asleep and submit the articles for payment. Where To Find Online Ghost Writing Jobs? As a mom, you are usually busy doing various tasks at home or outside to be able to keep your home running. What if you could get paid to do extra tasks alongside your current ones? This is quite possible if you sign up on sites that offer odd jobs to their members so that they can earn money after completing them. All you need is to pick up tasks that can fit into your schedule and do them satisfactorily to get paid. Where To Companies That Pay You To Complete Odd Jobs and Tasks? It is a fact that most moms visit stores regularly to pick up something for their children or at times themselves. If shopping is part of your daily routine, then you should consider looking for a job as a secret or mystery shopper. Your role will be to visit different stores as a consumer and give feedback to companies on how their products are displayed for an agreed pay. The pay may not be a lot at first but it will get better if you do it regularly. Where To Apply For Secret Shopping Gigs? Putting your thoughts down on paper on a topic you are passionate about is usually easy for many people that love to express themselves through writing. If you are that kind of person, you should consider setting up a blog and using it to generate income. You can write the blog posts when you are free and soon gather a following that will attract paying advertisers to put up adverts on your blog. Where To Find Blogging Jobs? Interested in starting your own blog? Check out this article on how you set up your own blog ( video tutorial included). In general, jobs that offer flexible schedules for moms are quite a number, and all you have to do is find the one that suits you and generates income as well. Carla, I have found mystery shopping to be very flexible with my schedule – you can do a lot of the prep work from home and then venture out to perform the shop. You can take your daughters with you on many of the shops as long as they allow you to make the required observations. Lashay provided a nice list of mystery shopping companies, but if you are looking for more you could check out http://bestmysteryshopping.howtosecretshop.com/ – I found some things on there I hadn’t found elsewhere. Good Luck on your journey! Hi Carla! Thanks for writing in. I would recommend checking out companies like EaHelp, Time Etc. and Worldwide 101. 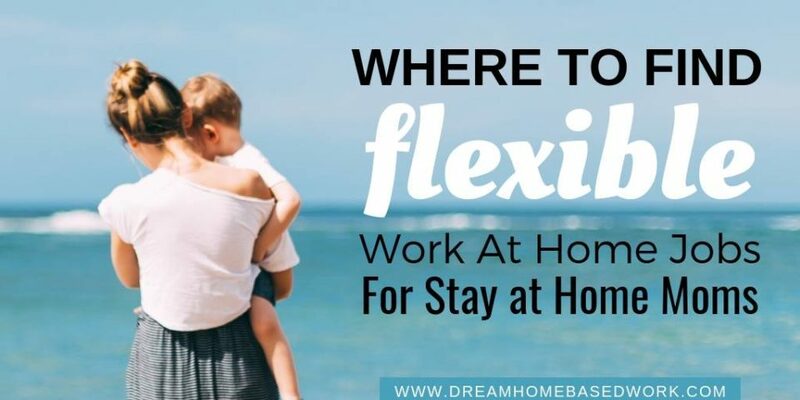 Here’s a variety of jobs that offer flexible schedules https://www.dreamhomebasedwork.com/make-your-own-schedule-jobs-from-home/.